I’ve had that proverbial “pea under the mattress” with Matt Damon over his characterization of Sarah Palin for some time now. It may be old news, but I think it’s important when you consider the current influence – and possible 2012 presidential run – of Sarah Palin. Matt Damon – the *Rosetta Stone* for political knowledge – used his Hollywood influence to gain an interview with CBS news during the 2008 presidential campaigns. He was quote, horrified, *egads* at the idea of McCain winning office with Sarah Palin left to potentially lead this country after his *imminent* demise. Ouch. He must have really been scared. Ok, never fear Matt – I looked into the matter for you – and to keep things simple – we’ll focus on just their public office experience, m’kay? Good. Ok now we need someone to compare her to. Ah heck – let’s go for the Head Honcho, the Big Cheese – let’s use Matt’s Hero and Chief, Mr. Obama. He won election to the U.S. Senate in November 2004. Won the presidency and was sworn in January 2009. So… let’s do the simple math. Obama’s years in elected office – 13 give or take a few months (as of March 2010). Hmmm. I am no math major, but I think Mr. Damon might have been a tad off in his figuring. So, in simple conclusion, I’d have to agree *snort* – Oh yes – THANK GOODNESS we’re safe from Sarah Palin. The good news is we have our *rock star* backup VP for dealing with the big stuff, ya know, like Vladimir Putin. Sleep well Matt. Nothing to fear here. 1. You refine heroin for a living, but you have a moral objection to liquor. 2. You own a $3,000 machine gun and $5,000 rocket launcher, but you can’t afford shoes. 3. You have more wives than teeth. 5. You think vests come in two styles: bullet-proof and suicide. 6. You can’t think of anyone you haven’t declared Jihad against. 7. You consider television dangerous, but routinely carry explosives in your clothing. 8. 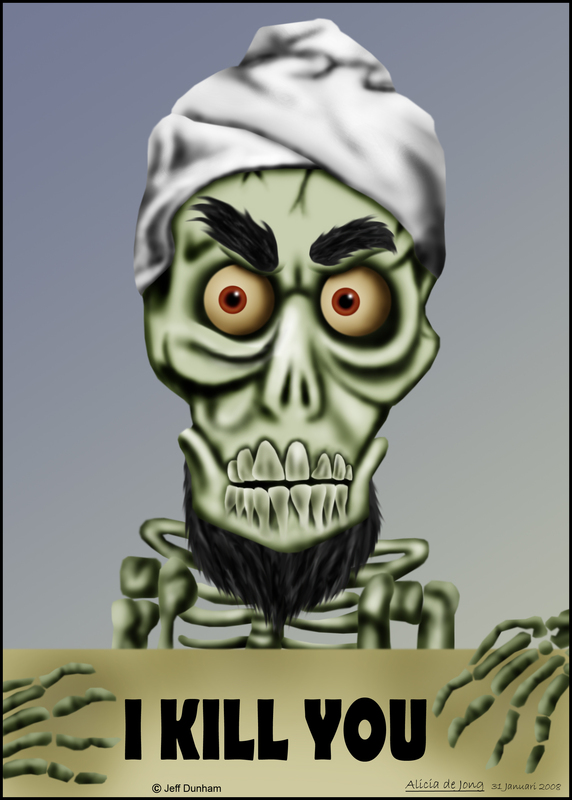 You were amazed to discover that cell phones have uses other than setting off roadside bombs. 9. You have nothing against women and think every man should own at least four. 10. You’ve always had a crush on your neighbor’s goat. 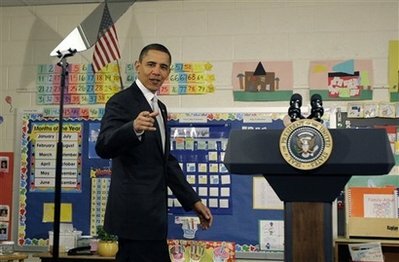 The first video in this series shows Barrack Obama explaining how ACORN and others, during the first 100 days of his Presidency, will shape America’s future. The footage was taken from the Heartland Democratic Presidential Forum on December 1st, 2007. A famous community organizer once said, “The only way to upset the power structure in your communities is to goad them, confuse them, irritate them and, most of all, make them live by their own rules. If you make them live by their own rules, you destroy them.” Impossible demands can irritate modern leftists in ways nothing else can, whether it’s by banning Lucky Charms cereal because it’s racist against Irish people, calling Planned Parenthood saying you want to donate money for black abortions in the name of Margaret Sanger, or making Sen. Snowe sign an oversized bailout check for a billion dollars to Amtrak, in her own office. And finally, the last video in the series captures yet another ACORN employee on camera saying some pretty unbelievable stuff. The women in the video, when explaining how to avoid an abusive pimp, recommends the prostitute teach the El Salvadorian kids how to keep their mouths shut (notice the children in the background throughout the entire segment). ACORN may be guilty of promoting child prostitution, tax evasion, and lies but they would never actually tamper with voter registration for the purpose of getting America’s first black President elected, would they? UPDATE: Andrew Breitbart takes on his own enemy (via Gateway Pundit). Obama’s A Post Turtle? Huh? 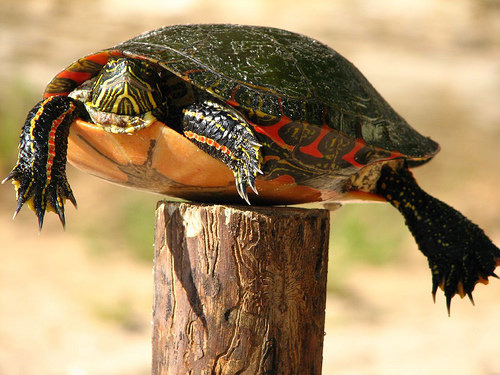 Obama's A Post Turtle? Huh? Yes, it’s true. 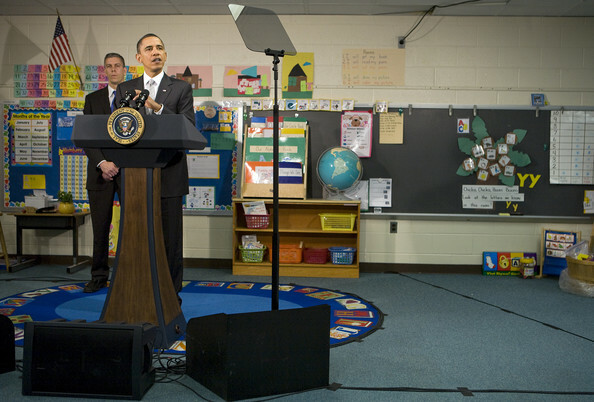 President Obama recently (January 19, 2010) used a teleprompter when he spoke to a sixth grade class at Graham Road Elementary School in Falls Church, Virginia. While funny to some and terrifying to others, the fact remains: our President is an actor, a Manchurian candidate, a cardboard cut-out. The unbelievable story is now being covered by Gateway Pundit, The Admonition, Atlas Shrugs, US Message Board, Politico, Sean Hannity, Yahoo Buzz and many others. 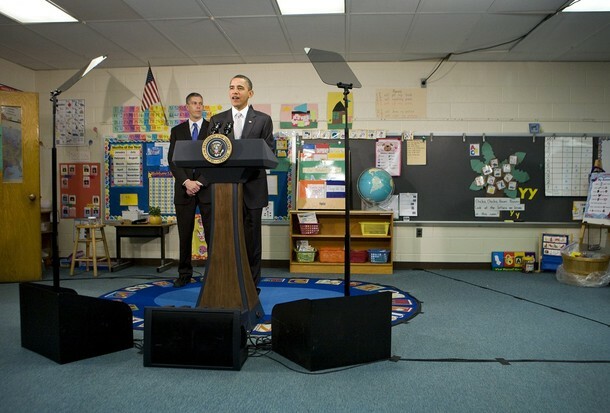 Ironically, Obama was visiting the school to promote his ‘race to the top’ program. Remember the motto of Obama’s radical mentors: “by any means necessary” and “the end justifies the means” (whatever you have to do in your race to the top is fine, provided you get there kids-look at me!). I don’t know about you but I wouldn’t let this guy near my kids. More pictures of the event can be seen HERE. Steve Jobs And Che Guevara ? Obama/Deval "take a chance on me"
Will Europe Put Its Foot Down?